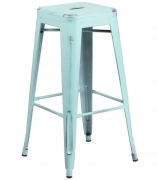 Restaurant Furniture Canada carries bar stool options that will fit your taste, decor and budget regardless of whether you are furnishing a neighborhood bar, hotel lounge, restaurant bar or other dining venue. 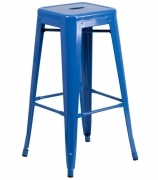 Among our large restaurant bar stools for sale selection, you'll find commercial seating that will surely coordinate wonderfully with both your venue and desired image. 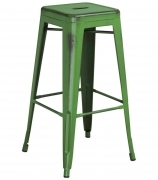 All you have to do is choose from our collection, including solid wood, metal, retro, swivel, backless, arm and back. Once you start browsing our collection of metal, wood and swivel bar stools you will be sure to find a design to fit your needs. 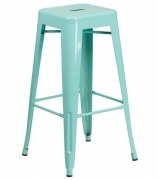 Some models of custom made bar stools also have matching chairs and table tops, a fact that turns Restaurant Furniture Canada into your one-stop destination for commercial bar stools and commercial furniture. 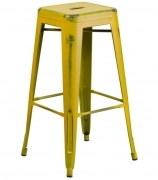 If you need something special, you can select the color, finish, fabric and materials to customize your selected items and create unique furniture made especially for you. 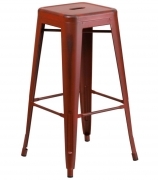 And with our high-quality construction made for years of dependable use, we are certain you will not be disappointed! If you need any assistance during the ordering process or have any questions, our expert customer service team will be happy to help. Call toll free (888) 998-4222.